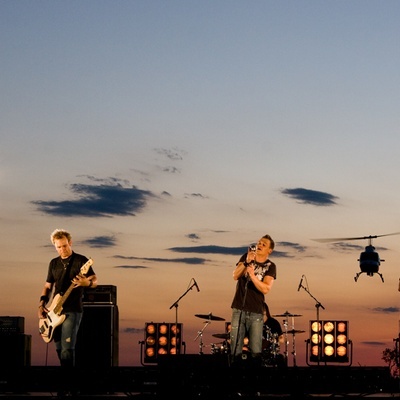 3 Doors Down is a post-grunge band from Escatawpa, Mississippi, United States, formed in 1996, consisting of Brad Arnold (vocals), Matt Roberts (guitars), Todd Harrell (bass), Chris Henderson (guitar), and Greg Upchurch (drums). The band signed to Universal Records in 2000 for their first album, The Better Life. They received international attention with the release of the single "Kryptonite". The album went on to sell over 6 million copies.